Planning for an international business trip or vacation can be exciting, but you also have many details to take care of. Before you head out to a foreign land, you can get details now on how to obtain the proper visa or other travel paperwork you will need to make your trip legal by utilizing the proper websites. Aside from attending to all of the necessary paperwork, there are a few other details you should take care of that will make your trip safer and easier. When you booked your trip, your destination country looked like nothing short of paradise. Over the past few weeks, things may have changed and travel conditions may not be what they once were. It is important that you check with the United States State Department to see if there are any travel advisories for your destination country. If there are advisories in effect, then alter your plans to abide by those advisories. When you travel abroad, you should always take cash with you for your destination country to make sure you can get the things you need. Credit cards and debit cards are not as popular in some countries, and you will need cash to take care of your arrangements. 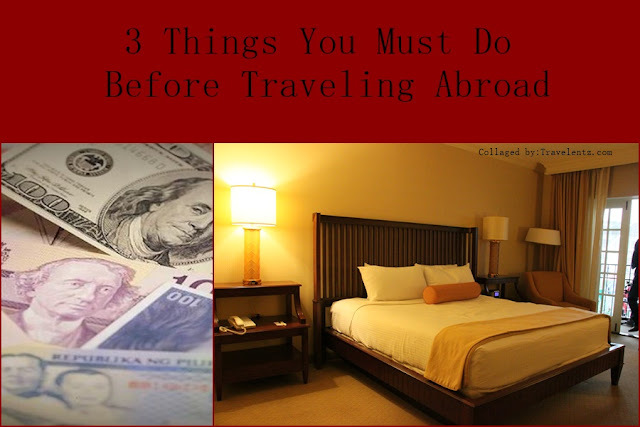 Before you leave, check with the local banks to see if it makes more sense to exchange all of your cash before you enter your destination country, or if you will get more if you exchange part of it when you arrive. A couple of quick phone calls to local banks could wind up giving you extra spending cash in your destination country. While traveling to another country can be exciting, you do not want to sabotage your trip by not doing some homework before you leave. Go through a basic international travel checklist prior to your trip, and you will be able to enjoy your journey and the adventures you will experience.